Craps is a game where you get to set the difficulty level. Using certain bets, you can win a lot of money, which makes the game all the more fun. By contrast, the many possible bets make the game difficult, ensuring it’s important to first read the rules properly before playing. You can try craps for free at Royal Panda. You can also play it for money starting from €1. Play directly without any downloads, and receive a 100% welcome bonus. Craps is all about correctly predicting the outcome of a roll of dice. A round of the game can be really short or really long, until a total score of seven has been rolled. There are various ways of playing craps. On our craps strategies page you can read about which strategies you can use to increase your chances of winning. Pass line You win if the outcome of the opening roll is a 7 or 11, and lose if it’s a 2, 3 or 12. Don’t pass line You win if the outcome of the opening roll is 2 or 3, and lose if it’s 7 or 11. Come You win if the outcome of the opening roll is a 7 or 11, and lose if it’s a 2, 3 or 12. Don’t come You win if you roll a 2 or 3 during first roll, and lose if it’s 7 or 12. Field You win if the outcome is 2, 3, 4, 9, 10, 11 or 12. Any craps You predict that the outcome of the next roll will be a 2, 3 or 12. Horn bets The outcome of the opening roll is 2, 3, 11 or 12. Hardway bets A double with the value of 4, 6, 8 or 10 will be rolled before a 7 is. Place You predict that a 4, 5, 6, 8, 9 or 10 will be rolled before a 7. Buy and lay You predict that a 4, 5, 6, 8, 9 or 10 will be rolled before a 7 and you pay a 5% surcharge on your bet. Any 7 and Any 11 If you bet on Any 7, you’re wagering that you’ll roll a 7, and with Any 11, you’re wagering that you’ll throw an 11. Big 6 and Big 8 You predict that the number 6 (big 6) or 8 (big 8) will be rolled before a seven. 4, 5, 6, 8, 9 or 10 This value becomes the points value. You roll again. You throw again until you reach this points value or roll a seven. Reach the points value and win the amount wagered (1:1). Roll a seven and lose your wager. This method of play is the exact opposite of the Pass line bet, but both the house edge and the payout are exactly the same (1:1). Place your bet on ‘Don’t Pass Bar’ at the start of the game. Following this, you make the first roll. Should the outcome be a two or three, you’ll win, and lose if it’s a 7 or 11. A 12 results in a draw (push) and your wager is returned to you. For other outcomes, the number becomes the points value and you roll again. Should you subsequently roll a seven, then you win. Should you roll the points value, you’ll lose. In principle, this method of play works in the exact same way as the pass line. You win if you roll a seven or 11, and lose if you roll a two, three or 12. The remaining outcomes form the ‘come point’. You place your opening wager on the ‘come field’, but in the event of a ‘come point’, this bet moves to the ‘come point’ total. Should you subsequently roll that amount, your bet will be doubled. Roll a seven, and you’ll lose. You can’t change your wager once it’s been made. Don’t come works in the exact opposite way to come. You place your opening bet on the ‘don’t come bar’. Should you roll a two or a three in your first roll, you’ll win. Roll a seven or 11, and you’ll lose. The remaining outcomes become the ‘come point’. Should your roll the ‘come point’ total, you’ll lose. Roll a seven, then you’ll win (1:1 on your wager). Unlike come, you’re allowed to change or remove your initial wager. If you bet on any craps, then you’re assuming that the following roll will be a two, three or 12. If you win, you’ll receive seven times your bet back. This means that if you bet €1, you’ll receive €7 back, therefore making €6 profit. With horn bets you’re predicting that that the following roll will be a two, three, 11 or 12. If you win, your payout will be 15 times your wager for the numbers three and 11. With the numbers two and 12, you’ll even receive 30 times your wager. With a hardway bet, you’re predicting that a double with the value of four, six, eight or ten (2+2, 3+3, 4+4 or 5+5) will be rolled before a seven. If you bet on buy, then you’re predicting that a four, five, six, eight, nine or ten will be rolled before a seven. You can only bet on this after the first roll of the dice. A 5% surcharge will also be applied to your wager. The opposite of buy is lay. Here you predict that a seven will be rolled before a four, five, six, eight, nine or ten. If you bet on any 7 you’re wagering that you’ll roll a seven. If you win, then you’ll receive four times your bet back. If you bet on any 11, you’re predicting that you’ll roll an 11. If you win, then you’ll receive 15 times your wager back. With this form of bet, you’re predicting that, when betting ‘big 6’ that a six will be rolled before a seven. If you bet on ‘big 8’, you’re predicting that an eight will be rolled before a seven. In both cases you’ll receive double your wager back. 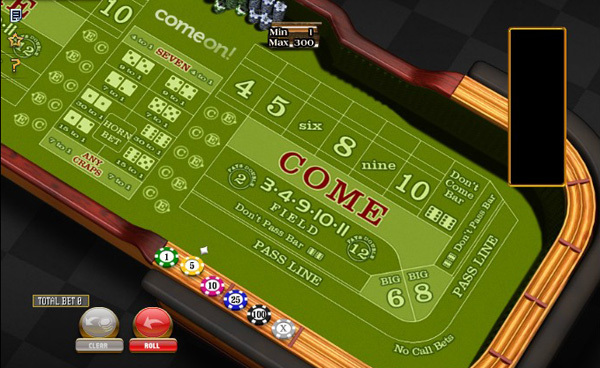 Craps is a lively casino game that requires due practice and learning to be played properly. Alongside the more popular possible bets above, there are dozens of other possible bets in craps. However, the wagering options on this page are comprehensive and challenging enough for 99% of craps players.